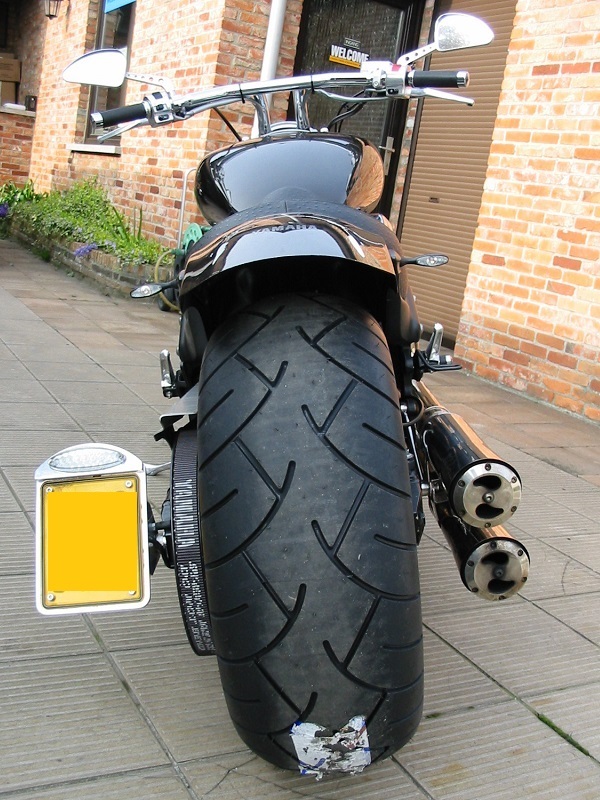 A motorcycle rider likes to make his bike his own, to make it different from a standard model. 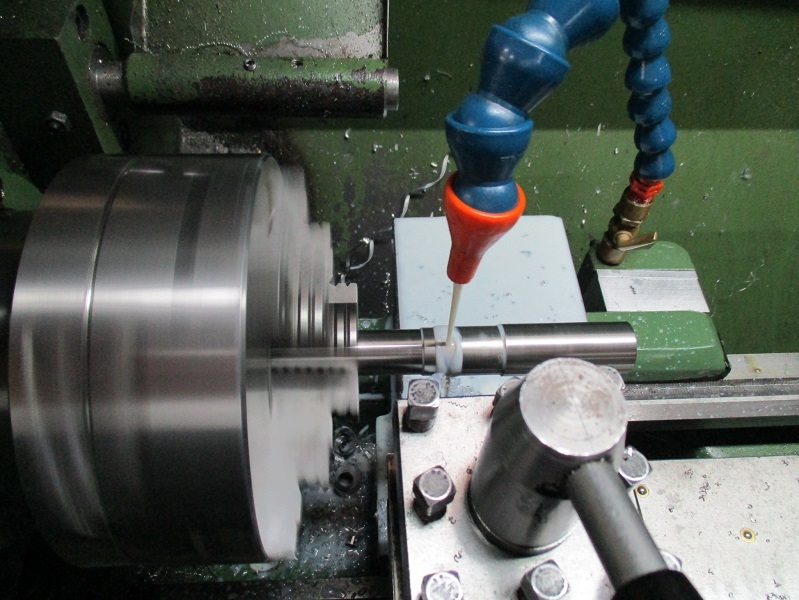 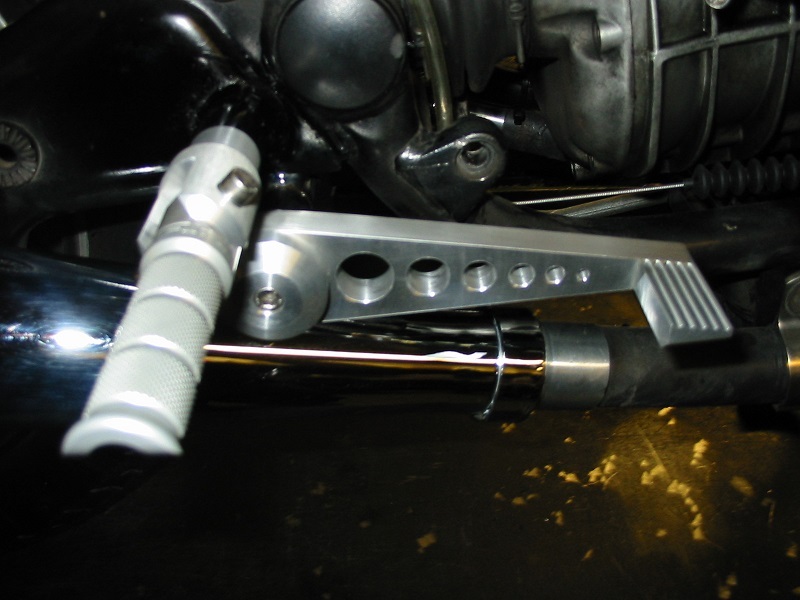 This can range from making a small change to rebuilding the motorcycle completely. 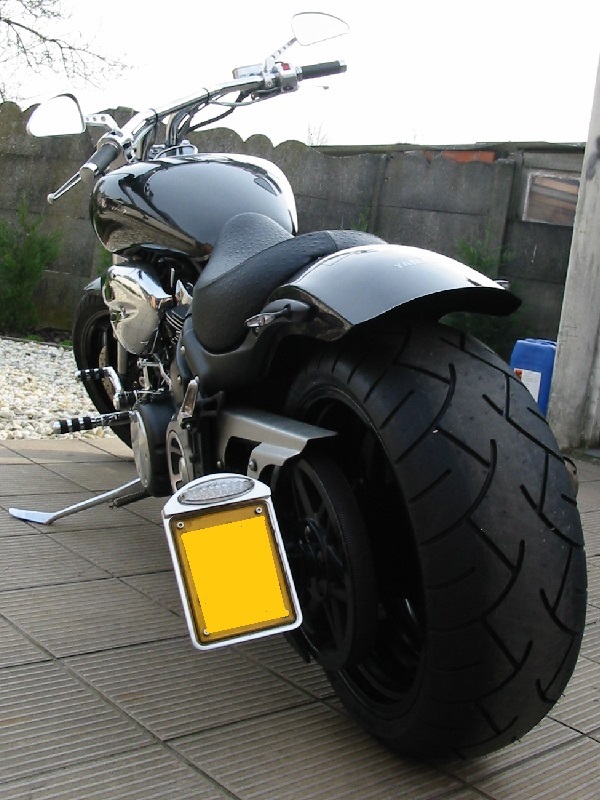 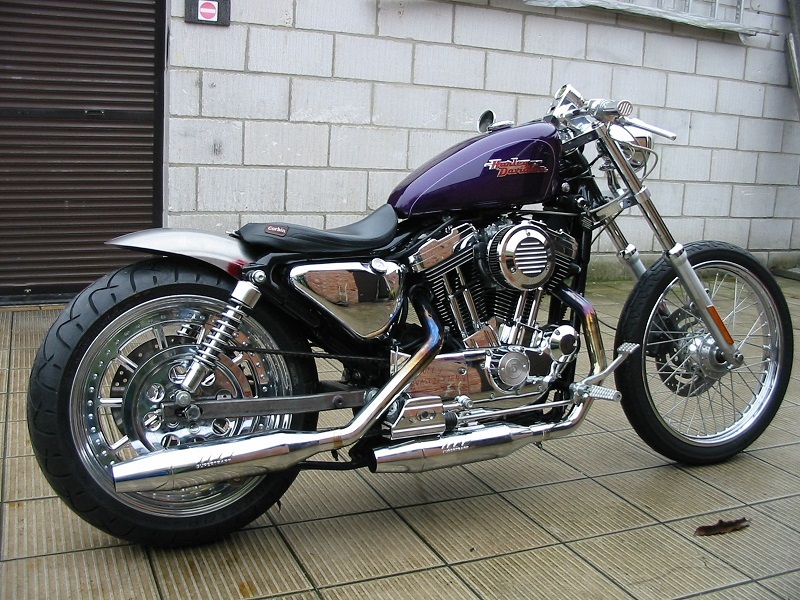 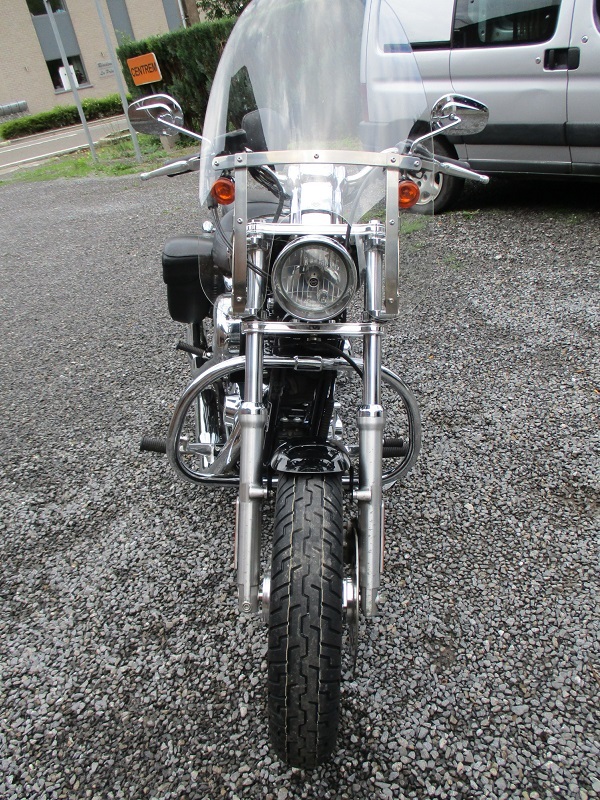 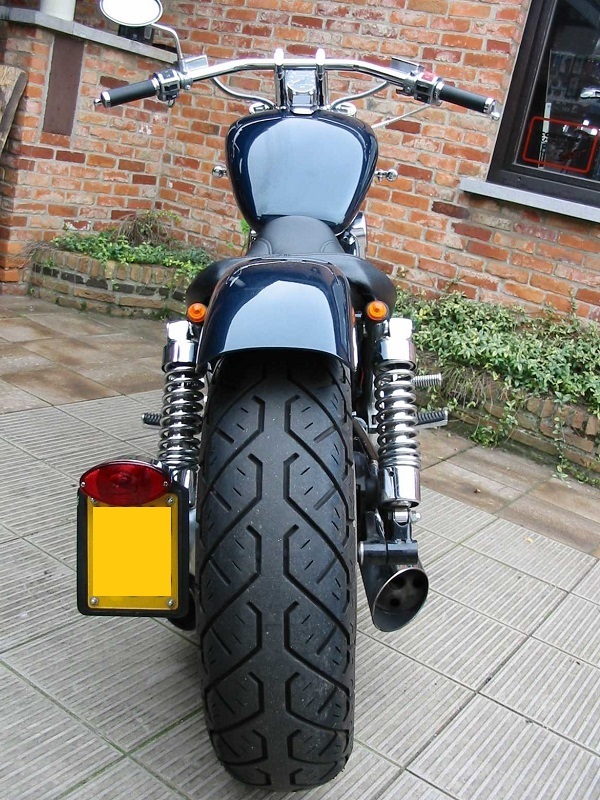 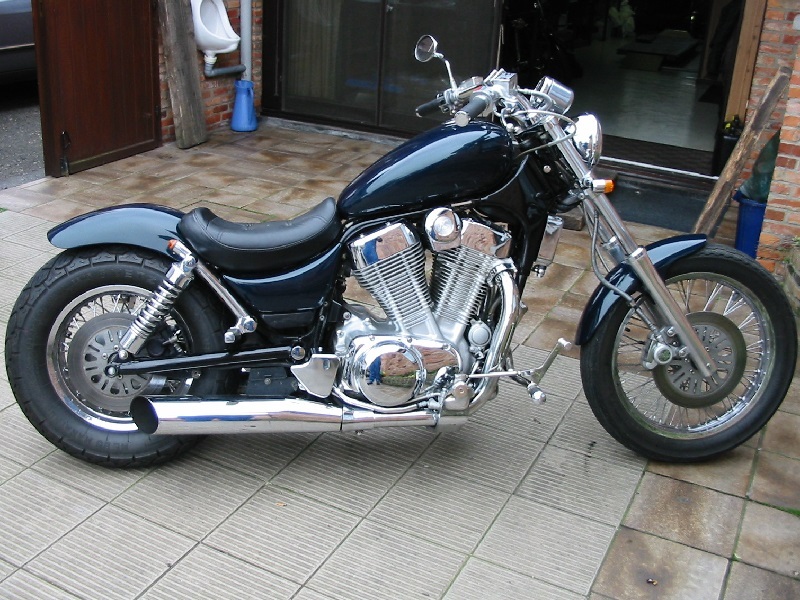 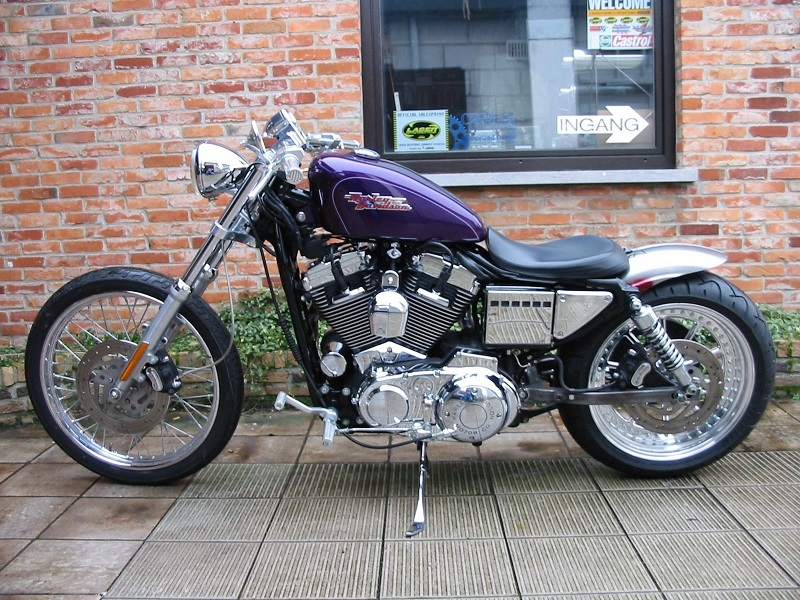 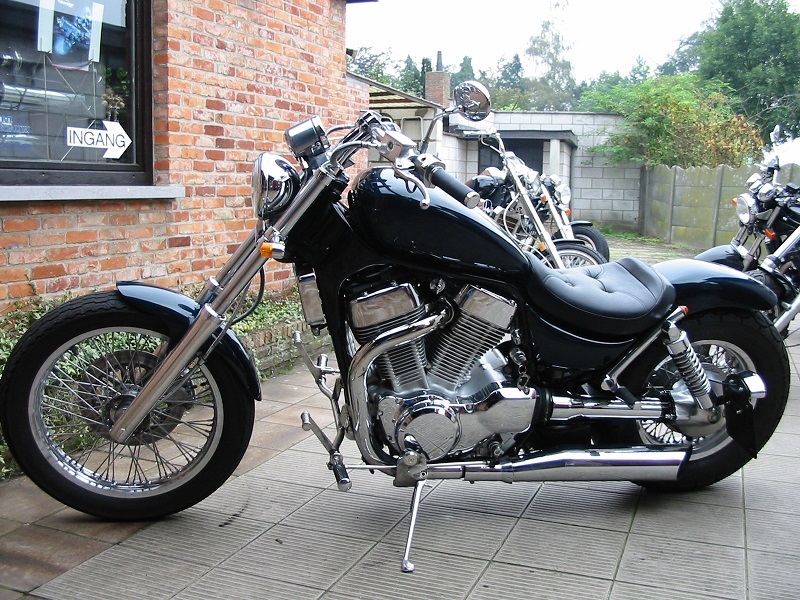 We have customized many motorcycles in our time, following our customer's specifications. 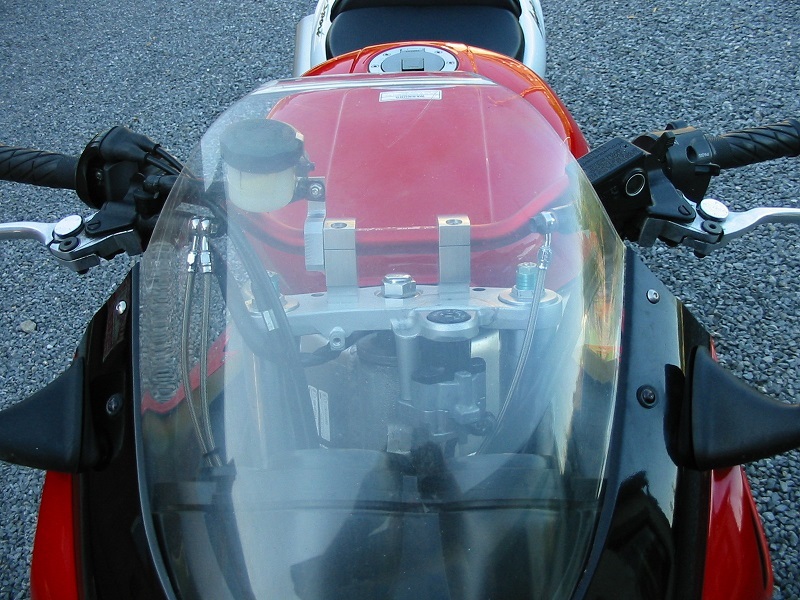 We do insist on keeping the motorcycle safe to ride no matter what changes are made, and we will always give our customers good, solid advice, and make alternative suggestions. 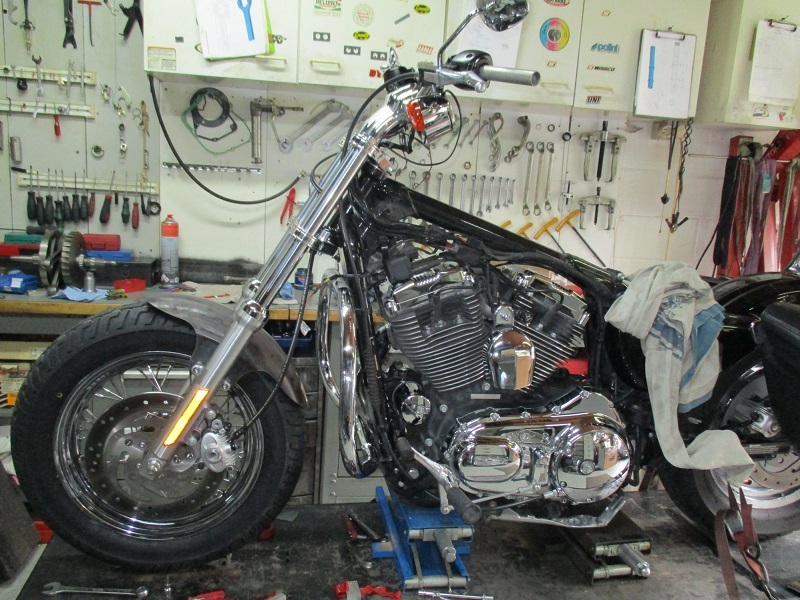 We try to work towards finding the best solution and finding the right parts and accessories. 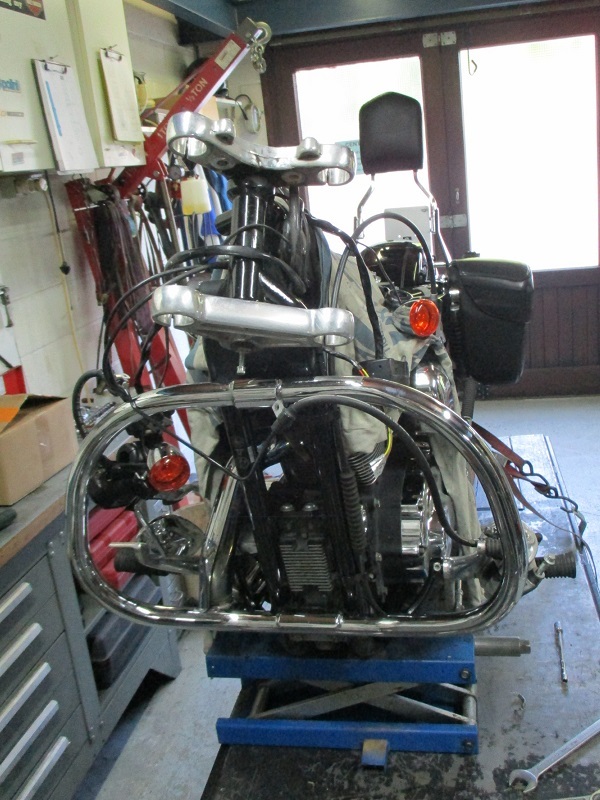 Please check out our Projects section for more complex “Bike Building”. 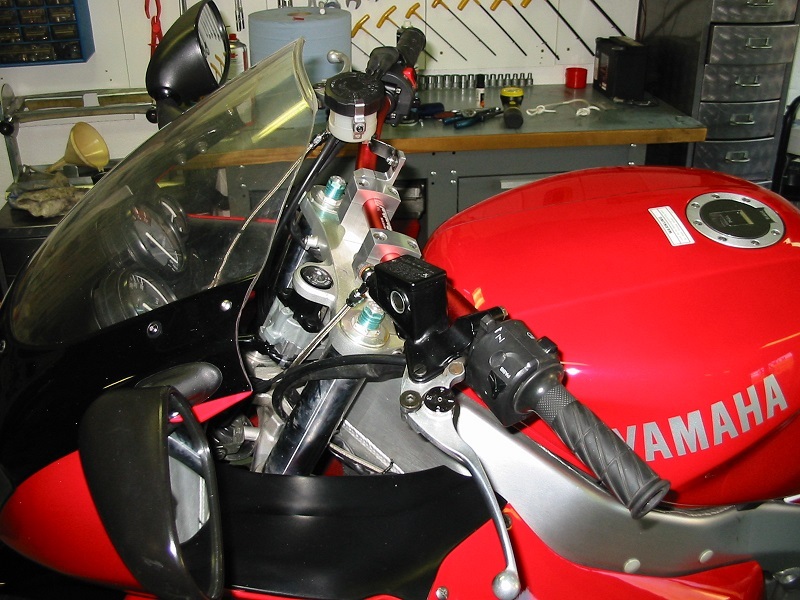 When a motorcycle reaches the age of 10 years, it becomes difficult to find specific parts and accessories. 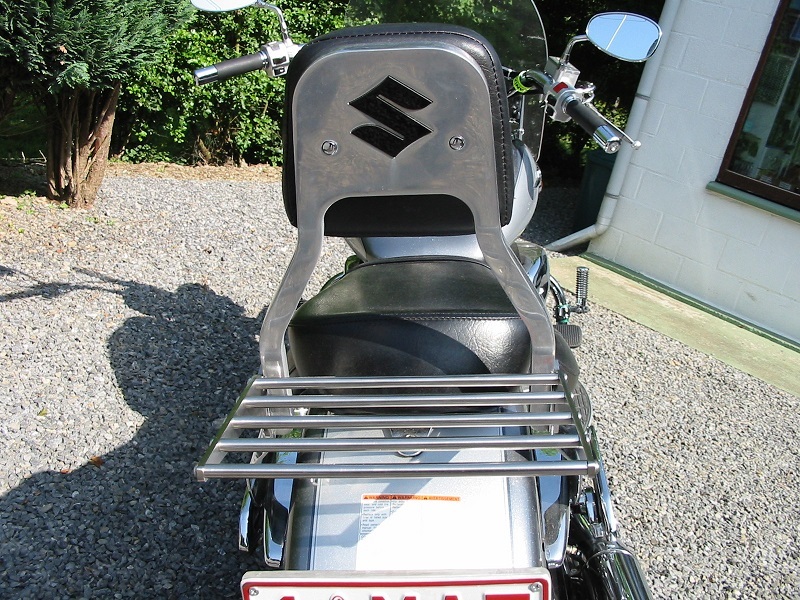 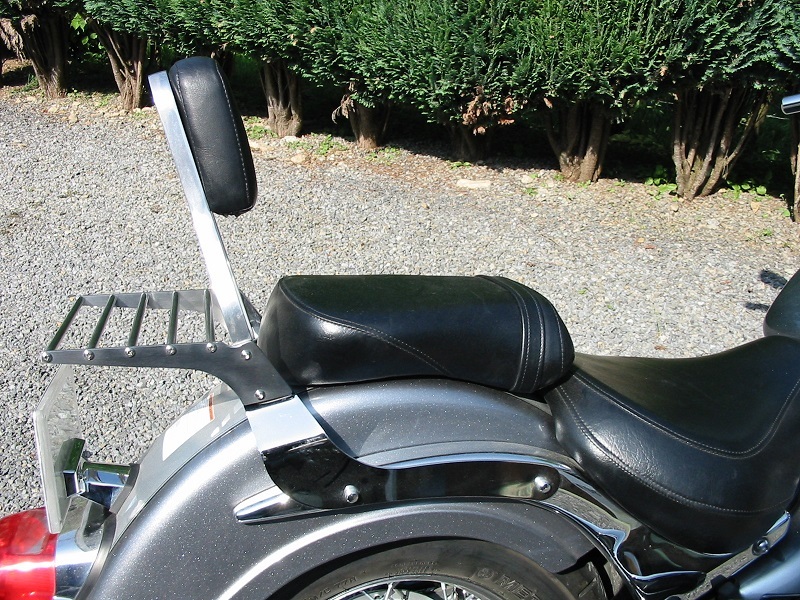 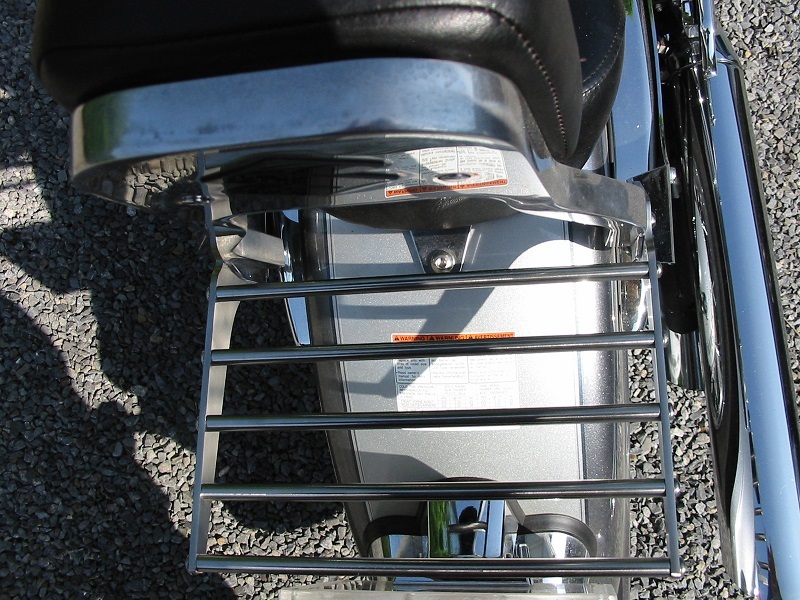 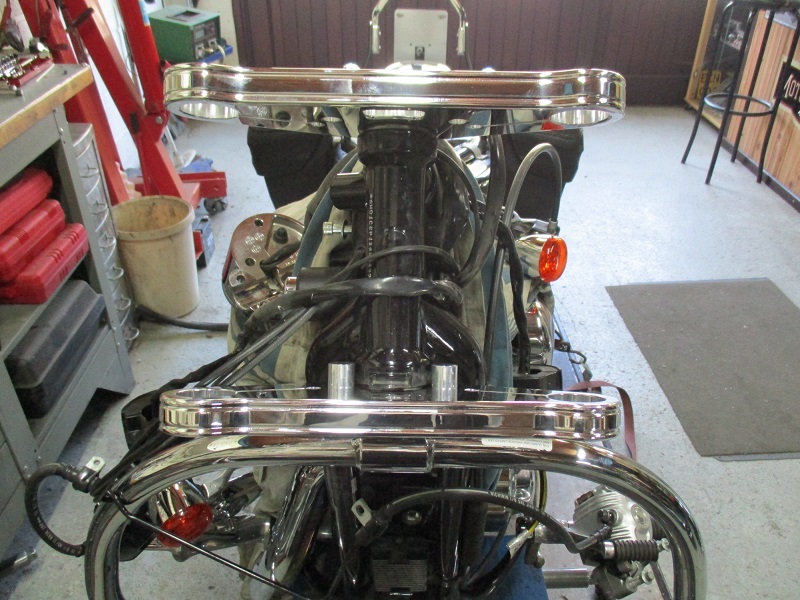 We are able to fabricate some accessories like forward controls and luggage racks, etc. 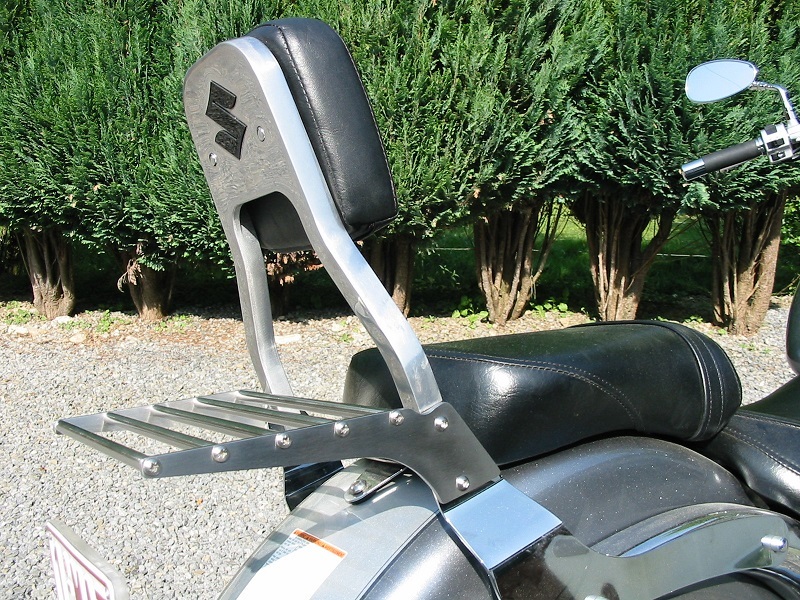 Sometimes we can use universal products, and then adapt them to fit the bike. 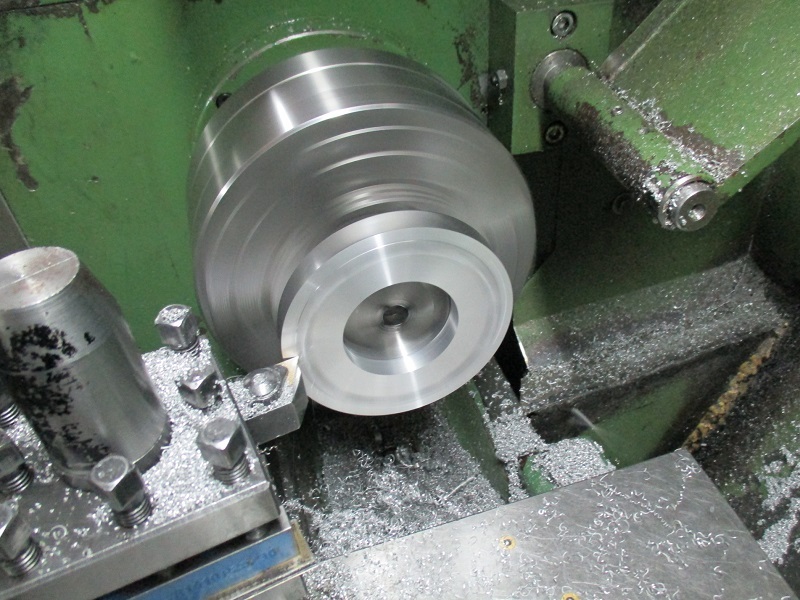 Whatever the case, we will always do our best to provide good results. 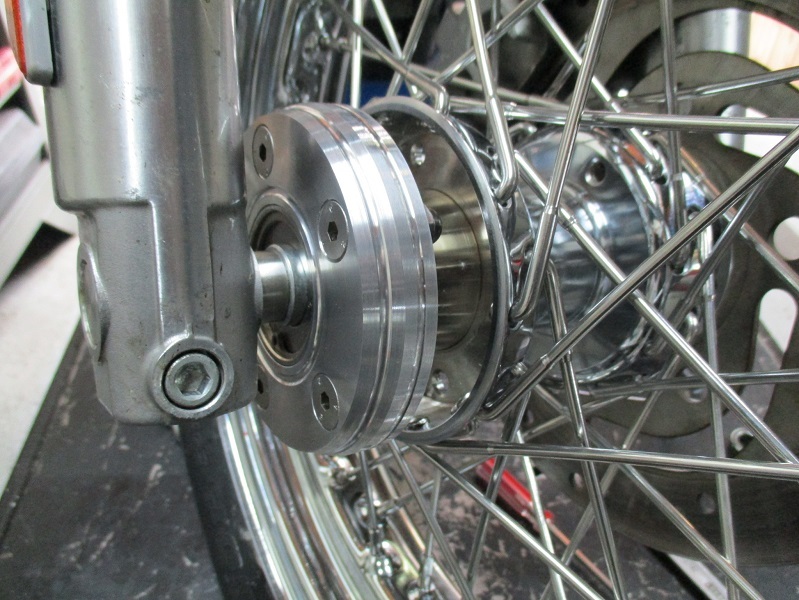 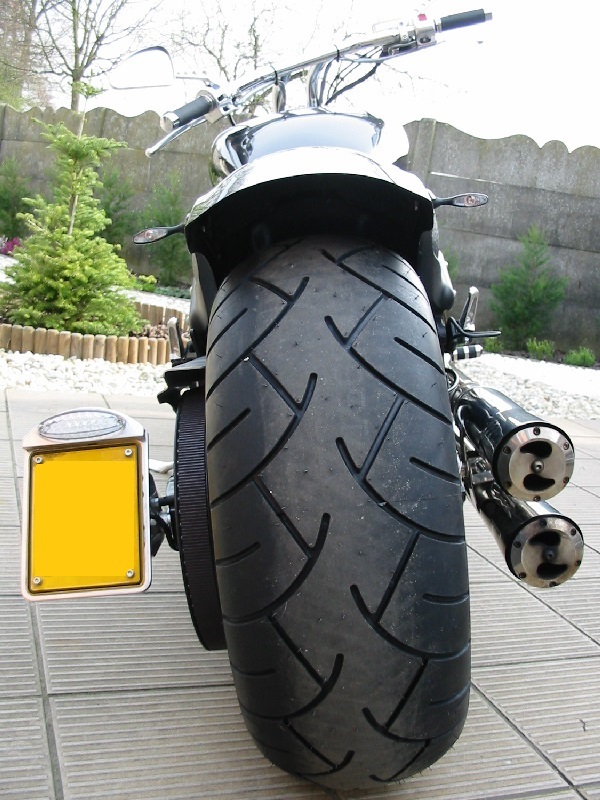 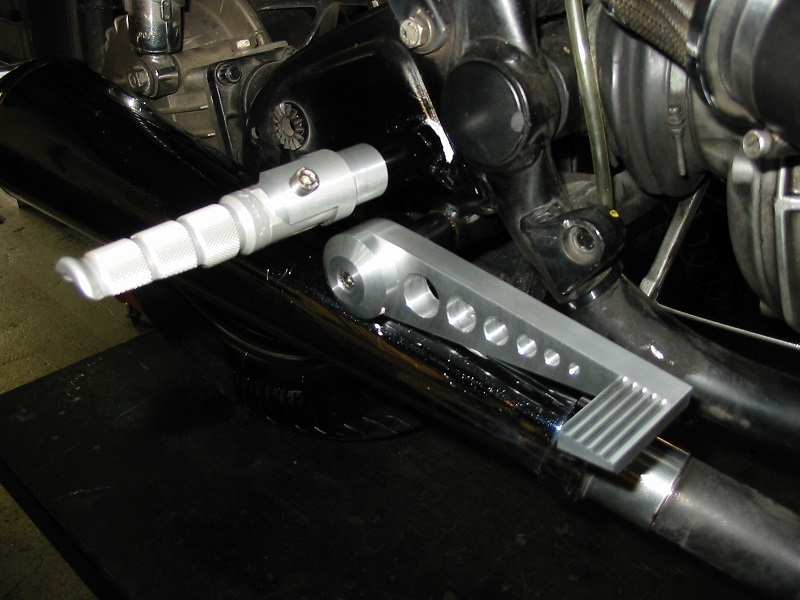 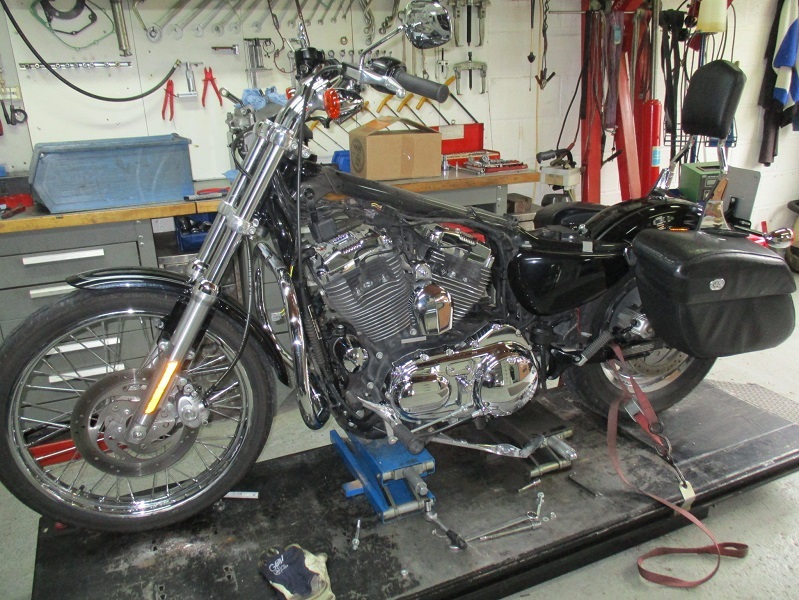 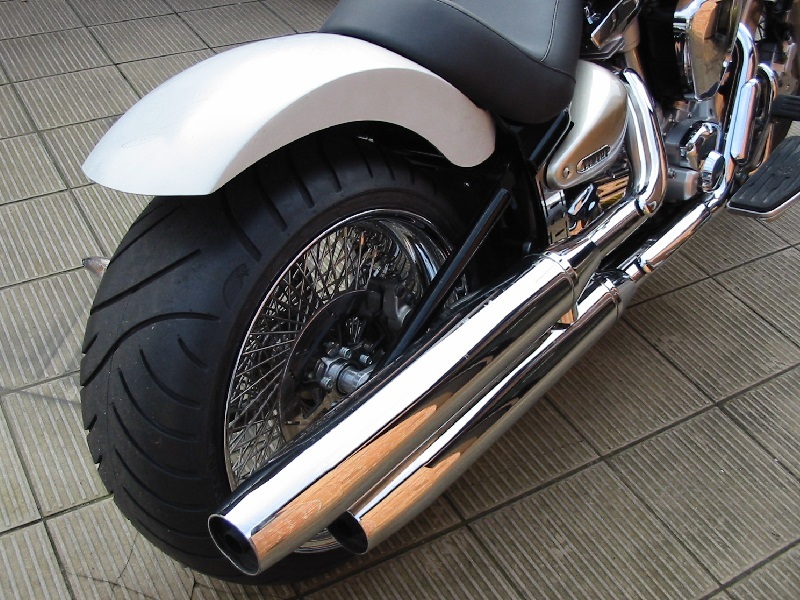 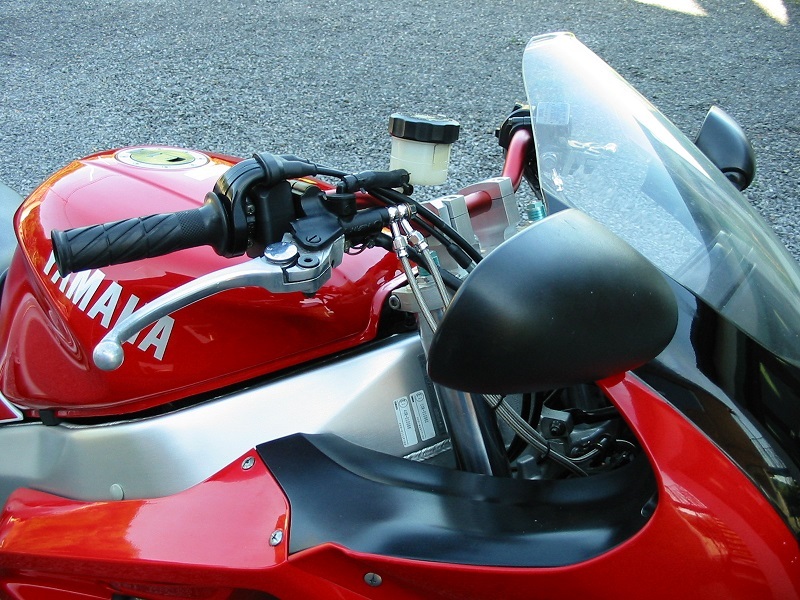 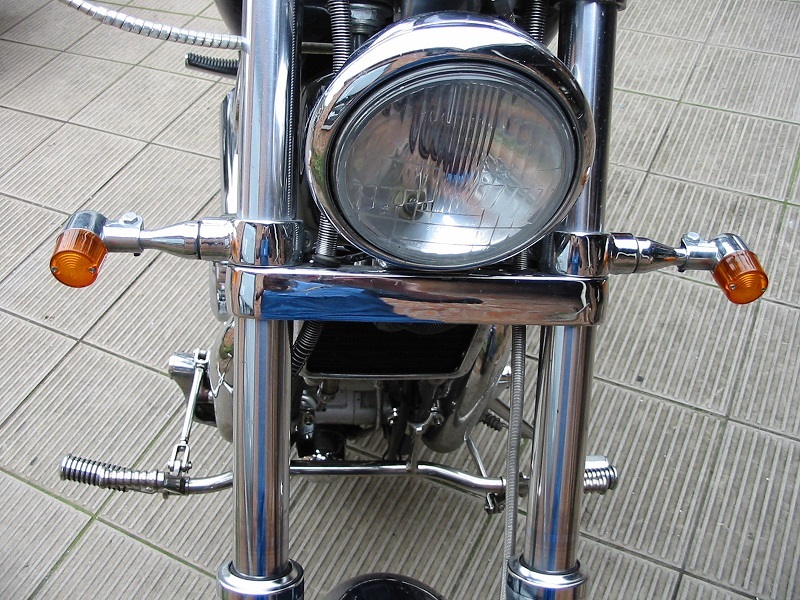 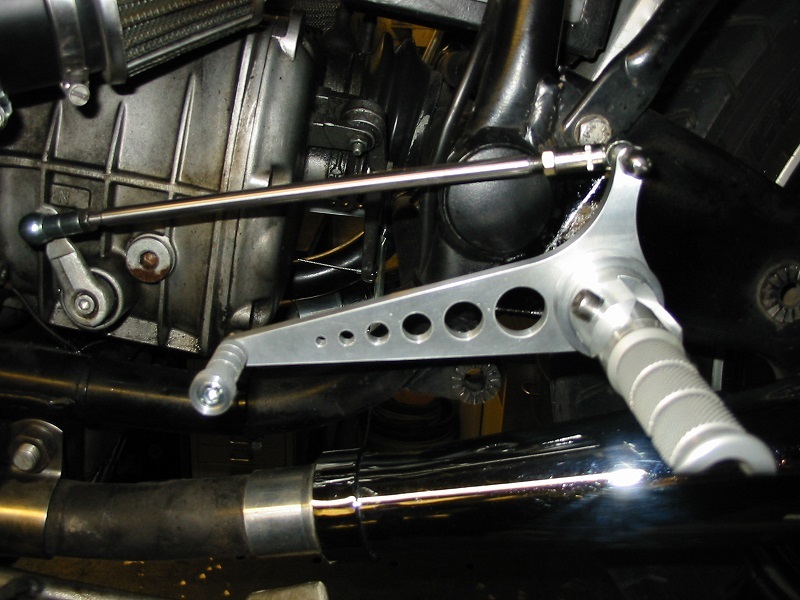 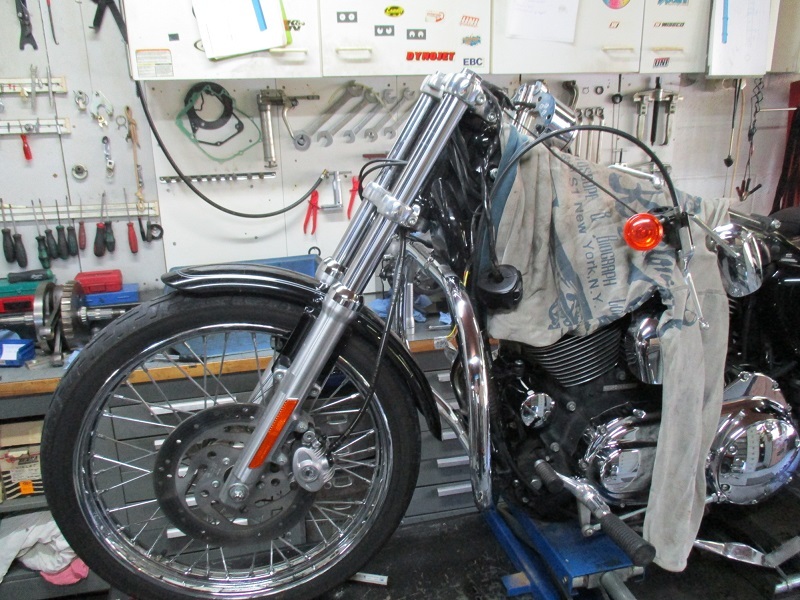 Wanting to change or modify something on a motorcycle is not always a simple operation. 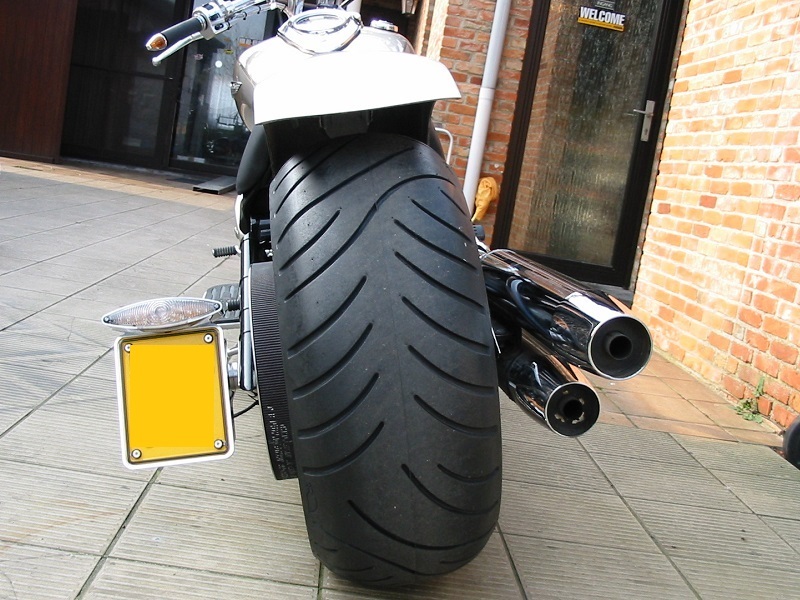 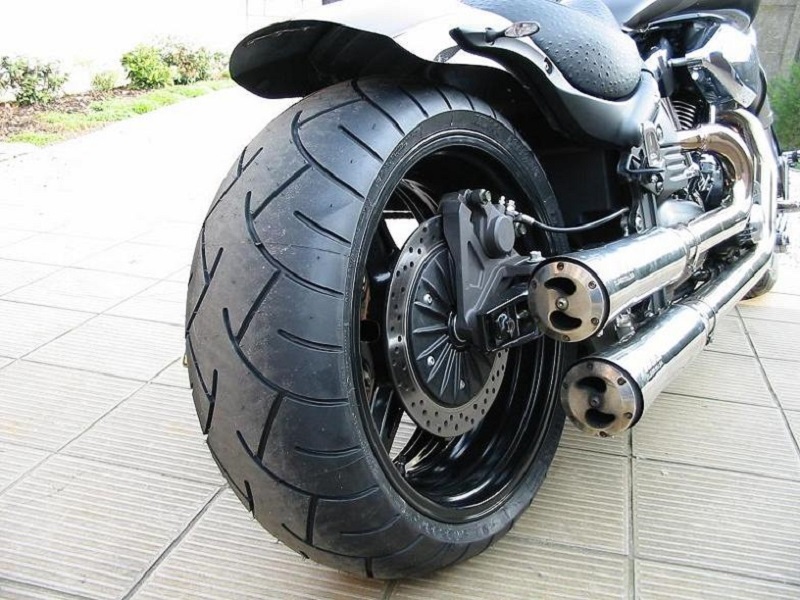 For example, a customer may want a wider rear tire. 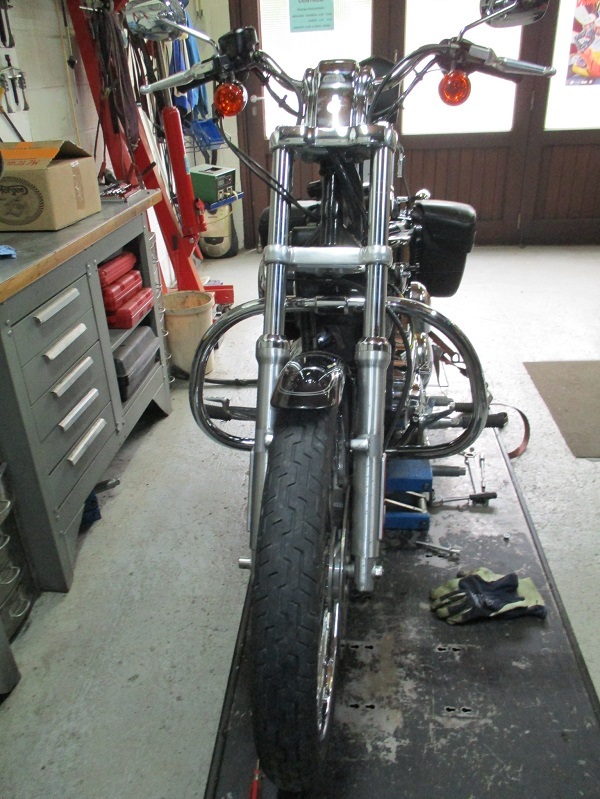 Depending on “how wide”, a new rim will be needed, then a wider wheel axle, a wider rear fender, maybe a new seat. 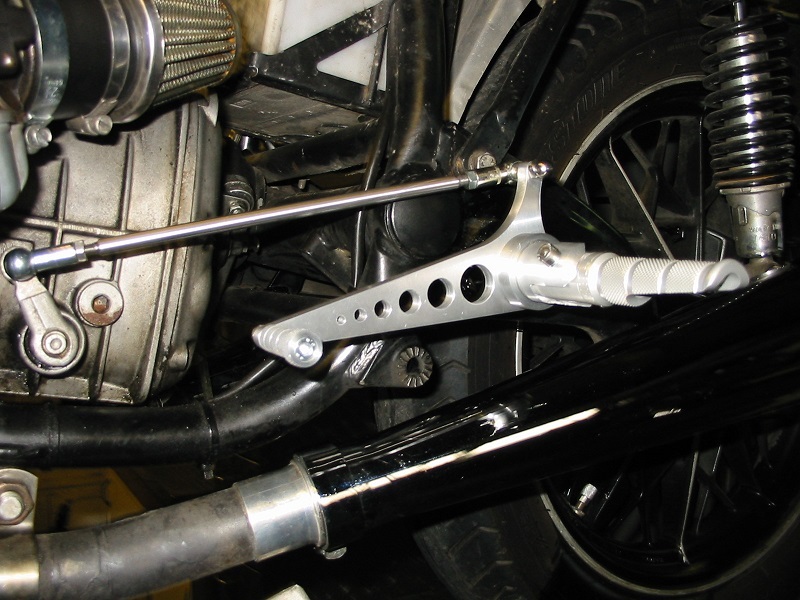 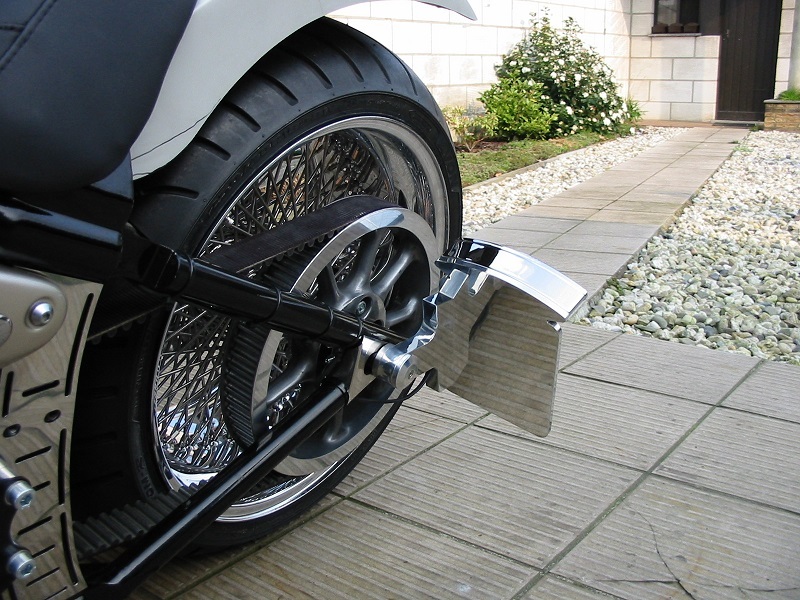 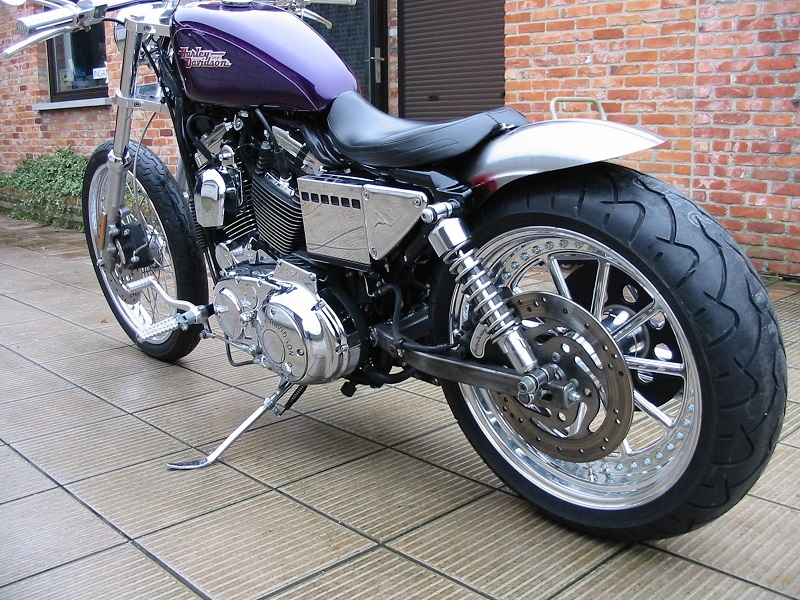 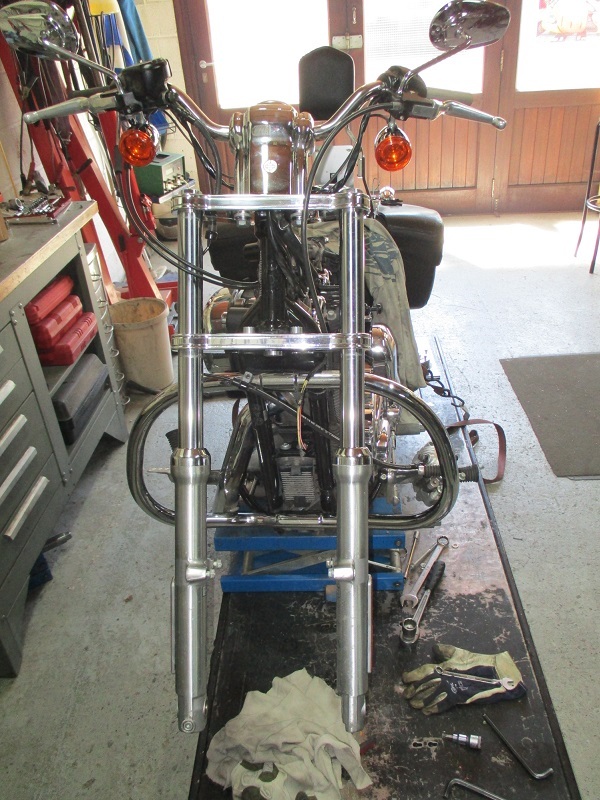 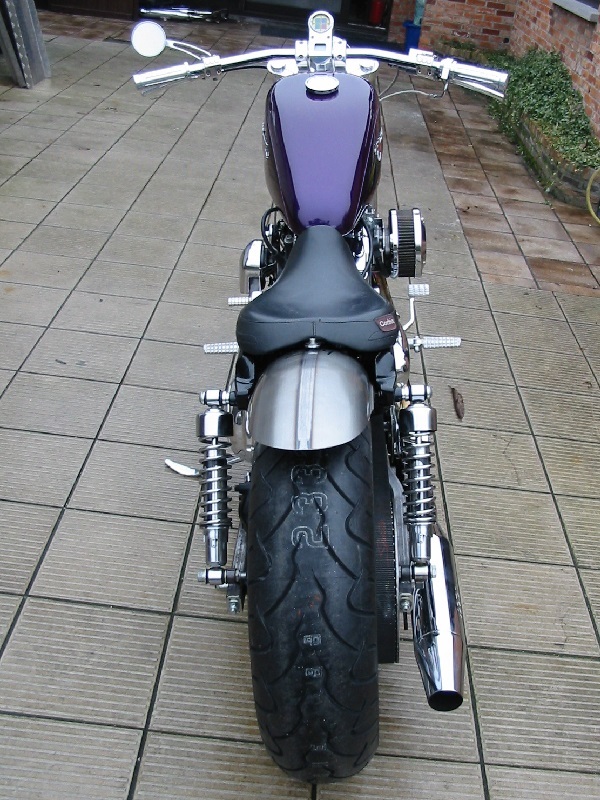 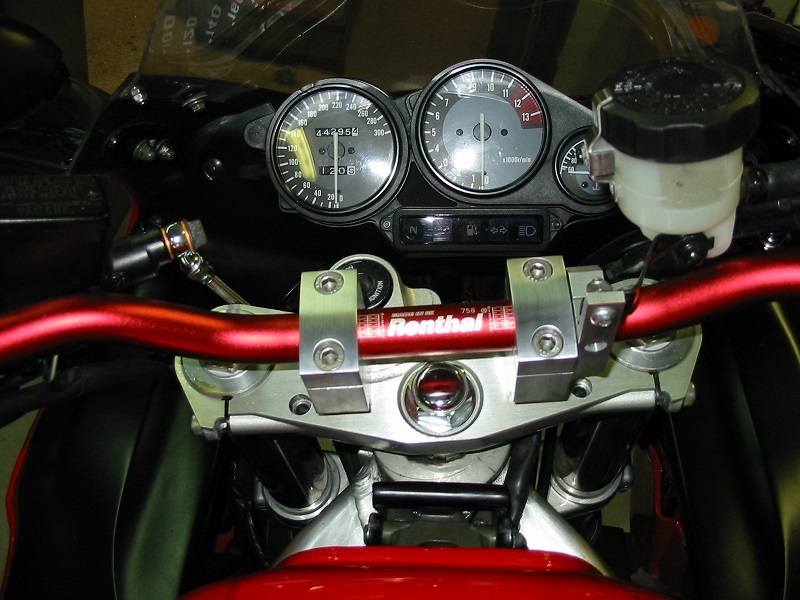 The swingarm may have to be modified and the belt or chain put offset. 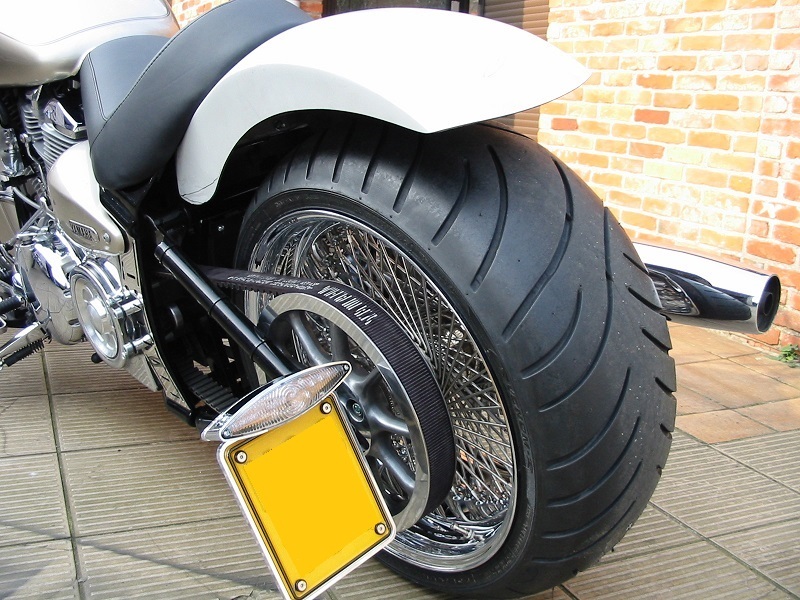 We will always discuss any customizing with the customer in detail first, that he knows exactly what the job involves. 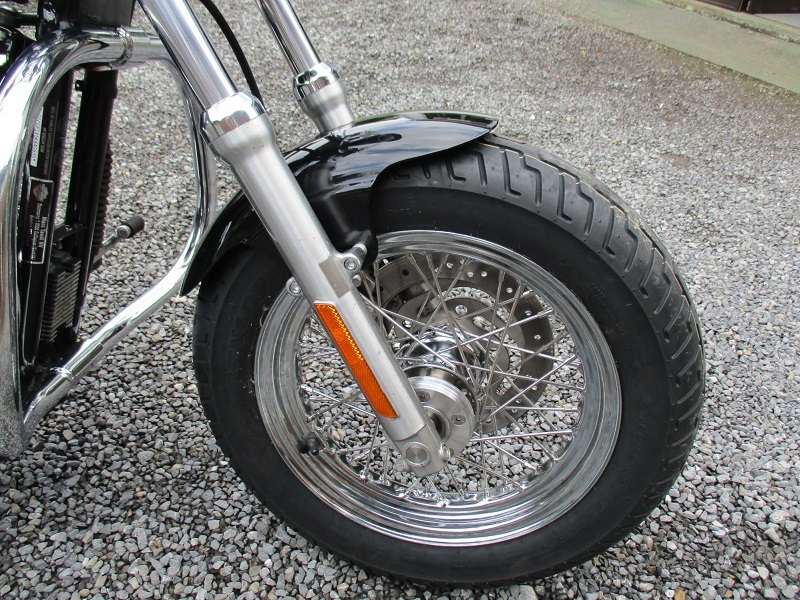 Here are a few examples of simple changes that we have made to different motorcycles.